The popularity of silver jewelry never seems to ebb, as designers are finding new and artistic ways to style the affordable and malleable metal. 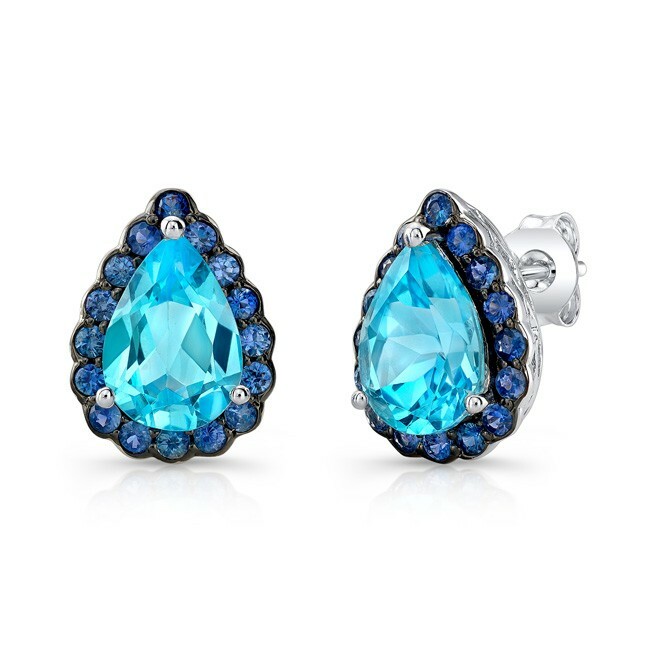 Whether silver is mixed with other metals or set with diamonds and gemstones, it's a go-to look that complements a wide range of colors and styles. Silver cuff by Michael Schofield & Co.
For centuries, silver has been prized for its incredible luster and workability. In this industry, we naturally think of it as a versatile metal used to design beautiful jewelry. But it's also applied towards technology and industry, used in the home, and often considered for investment purposes. Pure silver is highly tarnish-resistant but is too soft to use for jewelry design. Other metals like copper, nickel, or zinc, are added to harden silver. For example, sterling silver is 92.5% silver and 7.5% another metal. Silver products sometimes may be marked "925" which means that 925 parts per thousand are pure silver. If you're looking for an inexpensive metal for your fine jewelry, silver is a good choice. 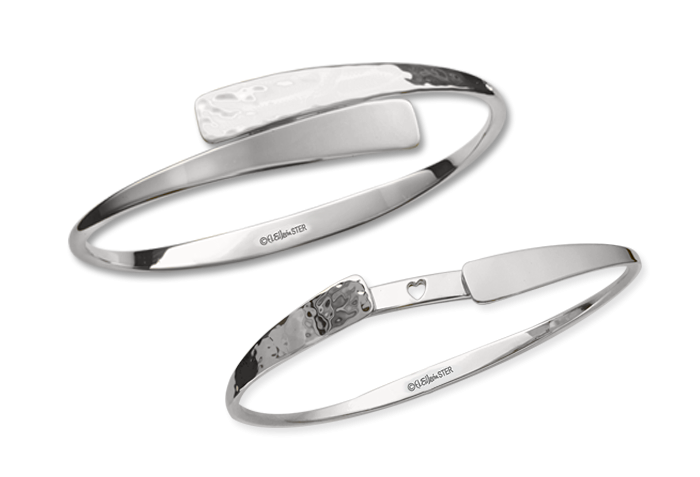 Since silver is soft and scratches easily, it's best used for jewelry that is not worn daily. The versatile beauty of silver is showcased in these designs by our credentialed AGS members. Click each image for a larger view. 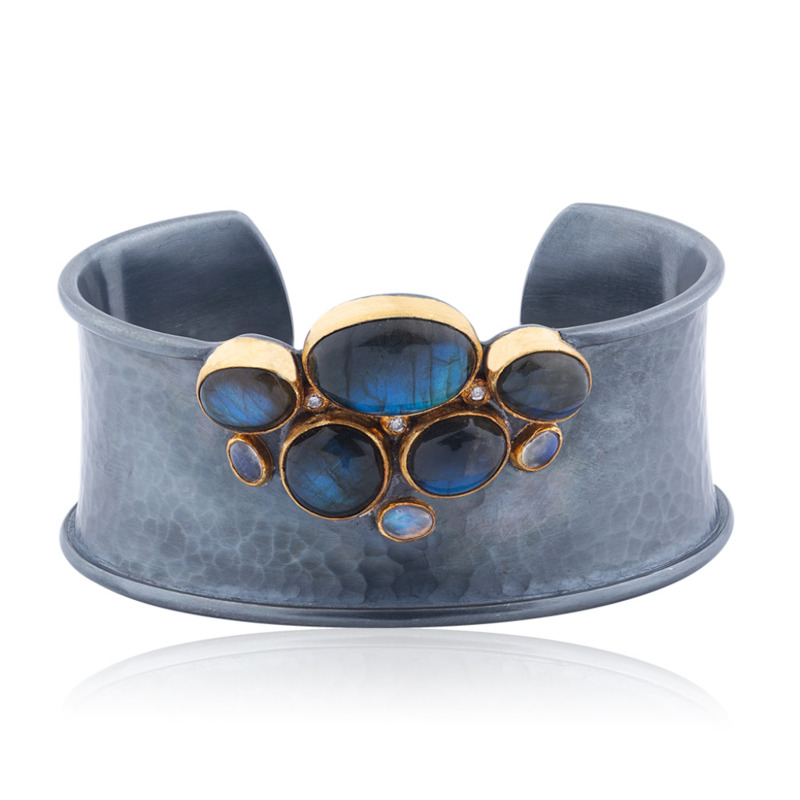 Oxidized sterling silver, labradorite, moonstone, and gray diamond cuff by Lika Behar Collection. 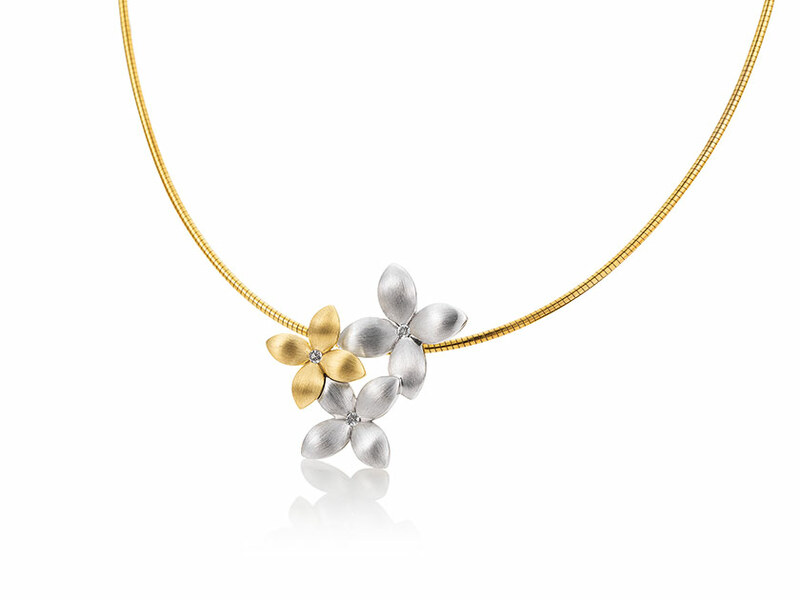 Silver, and partly coated with yellow gold, flower pendant by Breuning. 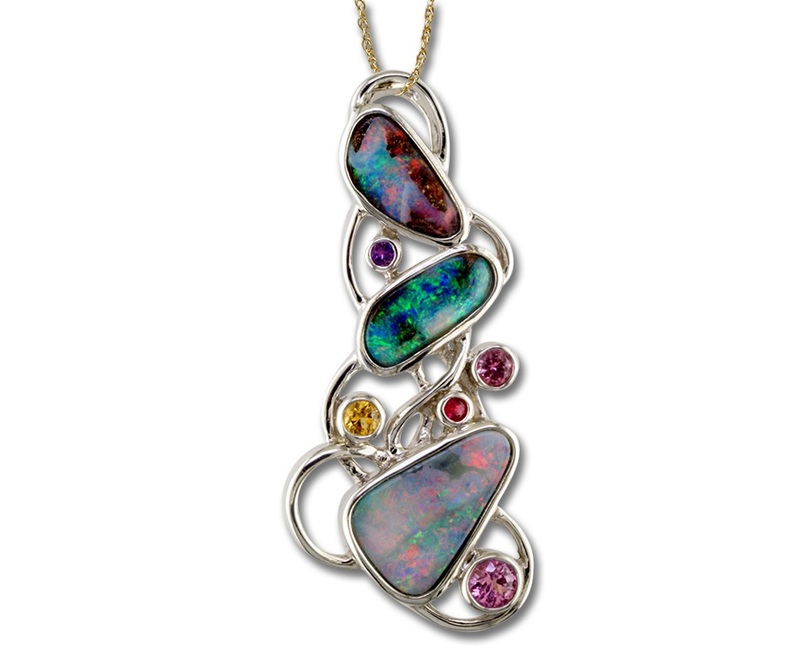 Australian Boulder opal and sapphires set in a sterling silver pendant by Parle. 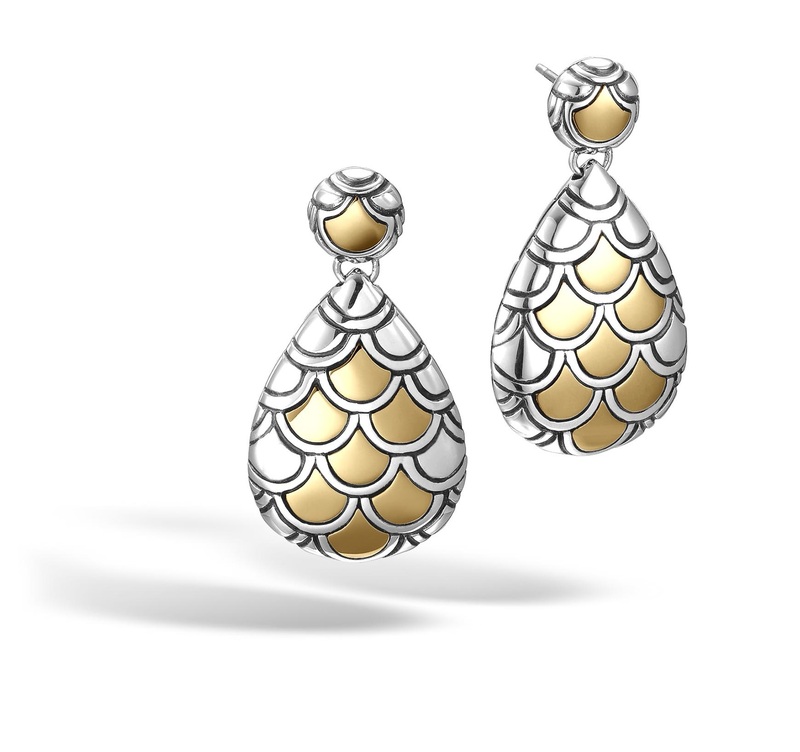 Sterling silver and 18k bonded yellow gold "Naga" drop earrings by John Hardy. If you're in the market for silver jewelry—perhaps you like one of the designs pictured above—or have some silver jewelry that needs some TLC, visit a credentialed AGS jeweler near you.